I've only been back in Illinois for about a week, but things are already pretty busy. I'm loving having things to do and projects to work on again, but I can't help but be a little envious of the majorly relaxed version of me in these pictures that were taken before I left. It's really just the sleep that I miss the most though, as I'm very much enjoying being back at the paper and with my family and friends who are here. Since I've been back, I've put together one issue of the paper, moved in and unpacked, saw my new niece who was born a week before I got here, got a potential internship (more on that later, though), seen most of my best friends, and watched a new Breaking Bad episode. In case you were wondering, I was most excited about the new Breaking Bad episode. Or my new niece, I guess. I mean, you have to pretty adorable to be important than Breaking Bad, which she is. As I mentioned, this outfit was worn during my last week of summer for a nice day of hanging out with family. 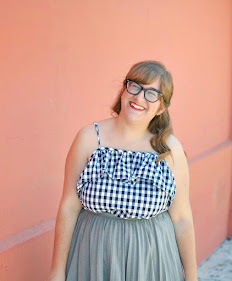 This is one of my most worn dresses and it doesn't make appearances on the blog nearly as much as it does in real life. It's one of those dresses that' just easy to throw on whenever I'm lazy, but never looks boring. I honestly don't think I'll ever get enough of that back detail. Also, I should mention that I probably wear this ring every day. Can you blame me? 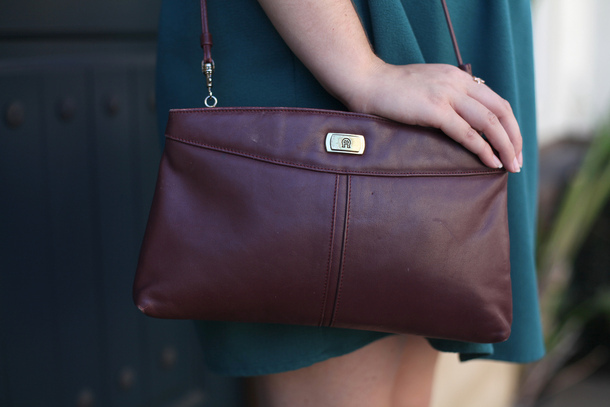 Don't forget to enter my Two Tickets giveaway to win an amazing wood grain print tote bag! I'm considering making a summer recap post to wrap the season up, would anyone be interested in reading one? I don't really know why I ask these things when I'm obviously just going to do it no matter what. Haha, I would love to read your summer recap post! Yes to the summer recap post! I've actually just been thinking about doing the same thing haha. Love this gorgeous dress and the back detail on it. Plus, your jewelry is spot on. I love dresses like that. I definitely have a few go-to dresses for when I need to get ready and leave the house in a hurry. The detail on this one is gorgeous! I'm excited to hear more about this potential internship! Oh I really like this and it seems very you. The detail with the slightly puffed sleeves especially. 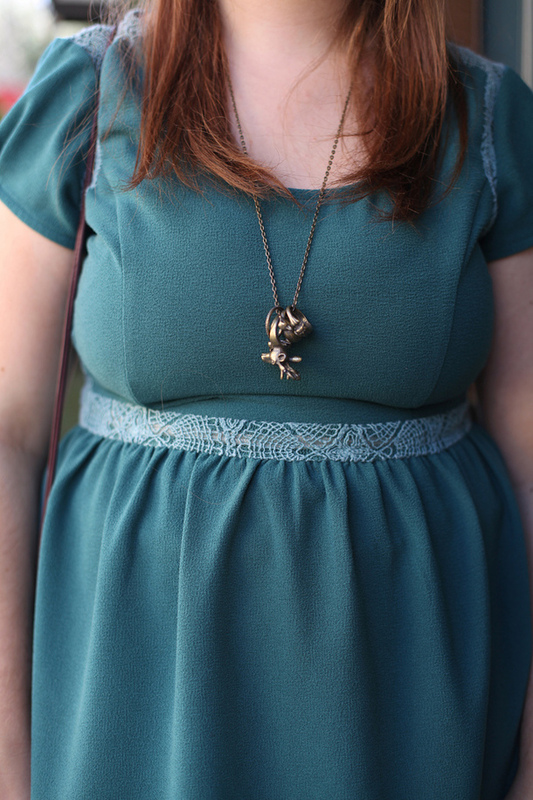 This dress is a great dress to throw on without thinking too much. The back detail is really pretty! I love this color on you too. And those shoes! So cute. This dress is so gorgeous, I love the detailing on the front and back of the top. The colour is sooo perfect on you! This color is totally perfect on you! I love the details. It's the right amount of classy and girly. Also I need that ring so badly. It's AMAZING. First of all, let me say that's such a cute front porch! Is that where you live in Illinois? That dress looks so comfortable and flowy. The back is gorgeous as well. I'm not looking too forward to the busy schedule coming up for me this school year. It is quite packed to say the least. This dress is gorgeous! Love the embroidery/details at the waist! the detail of this dress is so awesome!!! Yes! I would love to read a summer recap post (especially since I've missed so many of your posts :( ) But anyway, LOVE this pretty dress, it is such a beautiful color and I really like the back detail. Ooo and can't wait to hear about the potential internship. You really are busy! Such a pretty dress, and this is a great color on you! And yes to the recap post! 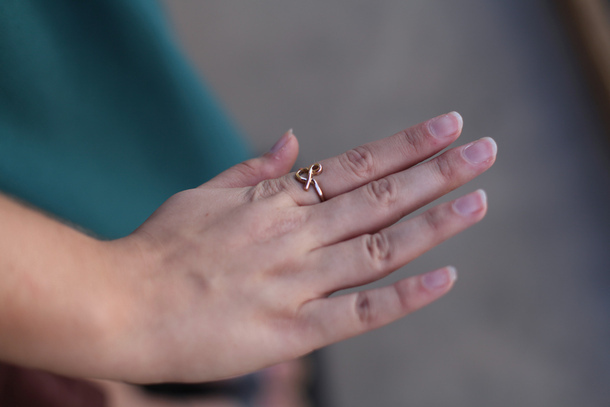 Also, I've been wanting an ampersand ring forever! And BREAKING BAD AHHHHHHH. breaking bad is CRAY. did you watch yesterday's episode. the way it ended was SO FRUSTRATING. Love the details on this dress and that color is AMAZING. Looks like a great dress that can translate to all seasons. So obsessed with Breaking Bad! These pictures are beautiful Elana! I love everything about them, especially the background. Going back to school is always such an exciting, crazy time! I don't do well with little sleep so that alway got to me too. YES I would read a summer recap post! What was your favorite part of your internship? Least favorite? Favorite wear to work outfit? Recap posts are always great when you closely follow a blog. I like the chronology of it. That dress is just so adorable! I love the shape on you! Good back as you head back to school and work!